The treated brows are usually a little tender, and the colour a little darker than the healed result – but they are not normally so dark as to be unsightly. Normal activities like work and socialising can generally be resumed the same day. They lighten considerably to a softer tone over the next 10-14 days. Charlotte our cosmetic tattooist is trained and certified in both the machine method of hair stroke tattoo, as well as microblade/microstroke technique. She often uses a combination of both of these methods in her treatments, to create perfectly natural brow enhancements. 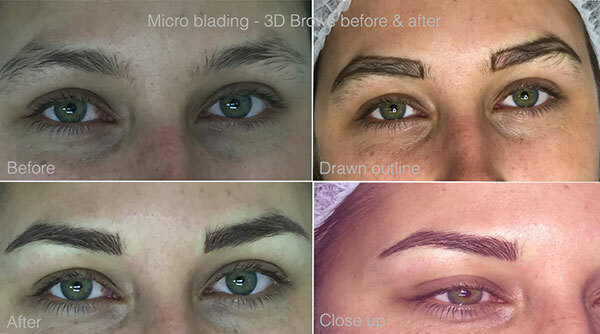 September 21, 2015 by charlie | Comments Off on What is microblading or microstroking? How is microblade different to hair stroke cosmetic tattoo? « How to get perfectly shaped eyebrows.